Magna Carta: The Bible of the English Constitution or a disgrace to the English nation? Lord Neuberger joined in the celebrations of the Magna Carta’s 800th Anniversary, at Guildford Cathedral on 18 June 2015, by giving a speech about the document’s historical background and constitutional legacy, and concluding with a brief discussion of the judiciary’s role today. The speech may be accessed here. “Indeed, democracy and the rule of law are mutually complementary, but there is potential for tension between these two fundamental features, and I would like to end this talk by briefly exploring this point through the eyes of the judiciary”. Lord Neuberger briefly explained the significance of parliamentary sovereignty as where a “democratically elected parliament can overrule a decision of any court, whereas no court can ever reverse or overrule a statute enacted by Parliament”. He drew a distinction between the UK judicial system and that of the US, where the Supreme Court Justices have the power to overrule a statute that they believe does not comply with the United States Constitution. Nonetheless, he suggested the relationship between parliamentary sovereignty and the judiciary in the UK is changing as the judiciary becomes increasingly more influential. Lord Neuberger explained, first, that the increasing powers of the executive have called for greater judicial scrutiny, saying that “[j]udges have no more important function than to protect individuals against arbitrary, unfair unlawful acts of the executive arm of government”. Secondly, the UK’s constitution was altered slightly by membership of the EU as EU law requires judges for the first time in British history to overrule a statute if it does not comply with EU law. It is worth noting that this requirement was imposed by Parliament in the European Communities Act 1972 and was therefore introduced consistently with established constitutional conventions. Thirdly, as Parliament is often controlled by a Prime Minister with a significant majority, “parliamentary power has […] waned, and judges may have unconsciously filled the vacuum […] joined by the press”. Fourthly, the Human Rights Act 1998 gives UK judges a quasi-constitutional function as judges have a duty to ensure that any laws passed by Parliament which contravene the European Convention on Human Rights are highlighted via a declaration of incompatibility. As with the second point above, this judicial function was introduced consistently with established constitutional conventions as the Human Rights Act 1998 was passed by Parliament. Fifthly, as devolution to Scottish, Welsh and Northern Irish governments has increased, the Supreme Court of the United Kingdom has been entrusted with deciding what legislative and other powers have been devolved. Sixthly, Lord Neuberger expressed his view that judicial outlook has changed over the past couple of decades, as ”judges are not wrongly indulging in their private opinions, but rightly reflecting the general fundamental values and assumptions of contemporary society”. Seventhly, where the legislature is undecided or too divided, the courts have felt compelled to step in. 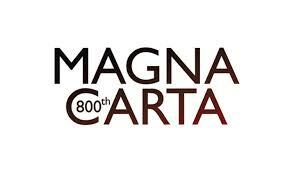 On the subject of the Magna Carta, Lord Neuberger concluded that “it represents the United Kingdom’s greatest contribution to the world – the rule of law and democratic government”. On the subject of the judiciary’s role today, Lord Neuberger clarified that he does not intend to praise or support “judicial aggrandisement” – or “judicial activism”- but only sought to describe what has been happening. The UK continues to be faced with the difficult but necessary task of striking a balance between parliamentary sovereignty and the powers of the judiciary that adheres to the rule of law. For the reasons addressed by Lord Neuberger, the judiciary’s power has had to change and adapt; it will be very interesting to see how this continues to develop in light of recent debates. To read about the upcoming Mock Trial at Westminster Hall – “Treason? The Trial of the Magna Carta Barons and Bishops” – click on the link: http://magnacarta800th.com/projects/trial/ . A wonderful typo, and I hope it catches on! Leave a reply on "Magna Carta: The Bible of the English Constitution or a disgrace to the English nation?"